And a big thanks to Dave Butler at Fermentedly Challenge for keeping everyone really aware of all things beer in Colorado, always. We struggled to stay up on the new breweries opening this year, but Dave’s done it again by keeping his pulse on the beer buzz here in the Rocky Mountain State. It’s been a big year for new breweries (almost 50 opening) … check out the list he published on Friday. And we say a sweet farewell to some craft beer friends as two breweries that we visited during our travels close their doors … check out these posts in homage to the local beer they once brewed for some small towns in Colorado: Grand Lake Brewing and Rifle Brewing. With nearly 200 breweries now in Colorado, character is the one thing that will make a new place stand out. Every brewery has the opportunity to put a twist on their stout, place their unique stamp on the tap room theme, or create a particular community vibe. … beautiful pictures of Colorado and mountain ranges the world over. These guys are outdoor enthusiast and mountaineers most definitely. I joyfully imagine that a copy of Freedom of the Hills sits next to their beer recipes. After the Dirty Thirty Ultra this summer, I look forward to drinking my “earned” specialty beer. … their “High Octane” beer menu which is a tour de force of big, bold, and flavorful brews. Though sometimes circumstances indicate that it’s best to play it safe in the mountains, that mode shouldn’t apply to breweries in Colorado. Jagged Mountain is definitely testing the limits and walking the edge. Reminiscent of Elevation in Poncha Springs, I’m ready to take this adventure with them. … contributing to the Jagged Gives program. Talk about an innovative way to give back to their local community. I was already intrigued by this brewery after a few samples, but their poster about this project on my way out the door really made me pleased with what this team is up to. All small businesses should consider the community as part of their bottom line. Tasty beer, knowledgeable and friendly staff, locals that will share a pint with you, and a theme dedicated to honoring our military men and women: Red Leg has it all. Colorado Springs is lucky to have this new spot on the northwest side of town … another great place to enjoy a post-work pint, or a beer after hiking in Garden of the Gods. I stopped in there on a Friday afternoon earlier this month, right as they opened their doors at 2 pm. The bartender happily poured me a tasting tray while sharing many thoughts on the beer and Red Leg’s mission as a brewery. Some regulars indulged me with their appreciation for Red Leg’s drafts, and other beer tourists, including a couple from Oregon and two army colonels, shared in my enjoyment of the tap selection. And I’m always looking around businesses for clever innovations. Let’s just say that Red Leg’s is hidden … on purpose. There has been a lot of talk over the past few years about breweries being designed to build community, and to do so, brewery designers recommend focusing the brewery on conversation and interaction by not filling the tap room with flatscreen T.V.s. I appreciate this. But let’s be honest with ourselves, when Bronco Fever takes over, a bar without a T.V. will see a drop in customers and lose a prime opportunity to build camaraderie. With all this in consideration, the crafty minds of Red Leg installed a retractable big screen. So when the big game is on, (Broncos, Hockey Playoffs, or Lindsay Vaughn in the Olympics), we can enjoy our sports, and drink our beer too. Then the T.V. disappears when it would otherwise just be blaring in the background with a golf match, or even worse, the dreaded ESPN football commentary show. Golden was once home to only Coors and its “2nd largest brewery,” Golden City Brewery. But the wave of Colorado breweries opening in 2013 has brought new taps to this delightful foothills community. I visited Mountain Toad for the first time with a friend from out-of-town after enjoying the tasty cuisine at the near-by Sherpa House. 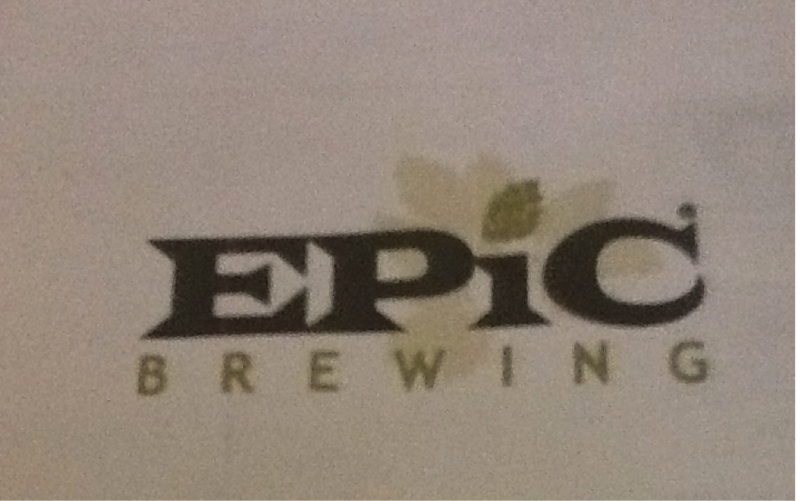 Straight from their website, “the Epic [Brewing Co.] Team has a strong belief in doing everything all out.” And we’re now benefiting from their mentality here in Denver, as this Salt Lake City brewery has opened their doors in the RiNo. While I always write with accolades, it takes a lot these days for me to get really stoked on a new beer or a new brewery. But Epic has me ecstatic to call them a Mile High “local brew” for many reasons. My main excitement comes with their expansive, almost unfathomably expansive, beer menu . . . which is all their beer.